From the tyrant Polycrates to Pythagoras and the Emperor Marcus Antonius, Samos has an intriguing history to tell. 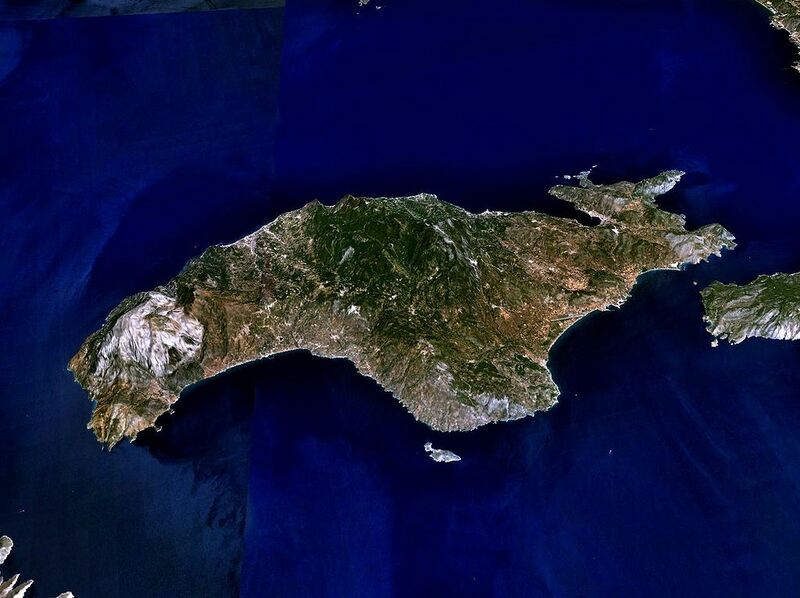 This green island located in the Aegean Sea, near Asia Minor, next to Patmos and a stone’s throw away from Turkey. 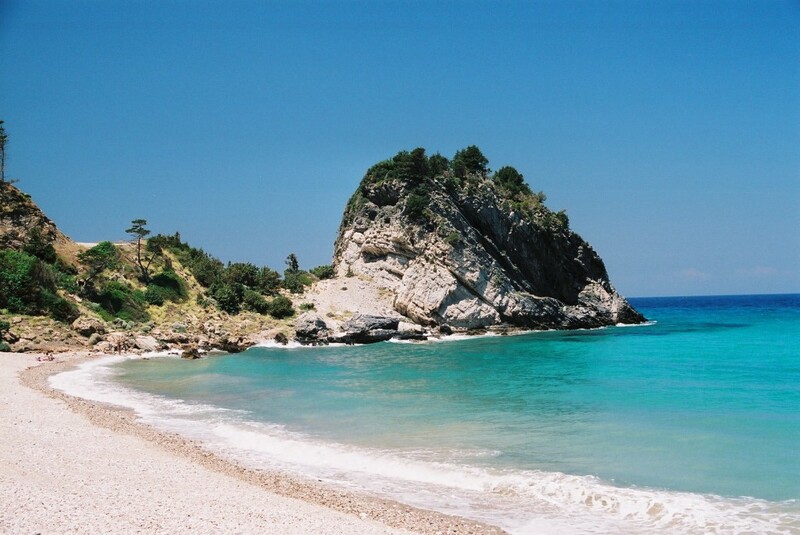 Hot summers, sunny and lush, Samos makes a popular holiday destination for Scandinavian holiday makers. You fly to Samos in a couple of hours and the airport is just minutes away from Pythagorion, one of many popular resorts on the island. A really hot summer day, the temperature can rise above 40 degrees and hot winds are blowing over the island. Samos has approximately 44,000 inhabitants of which many are living during the winter months in Canada. During the summer time they open their small hotel or restaurant on the island. As the season draws to an end in late September / early October some parts of the island almost a turns in to a ghost town. Summertime is the high season on the island and restaurants, cafés and bars are filled with tourists. Samos attracts young as old, couples and groups of friends. 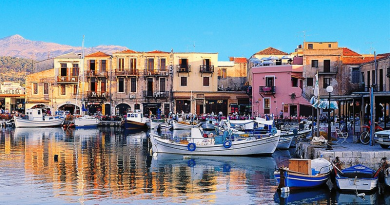 The capital of the island is Vathy or Samos, with about 6000 inhabitants. Other cities are Pythagorion, Kokkari, Karlovasi and Votsalakia. 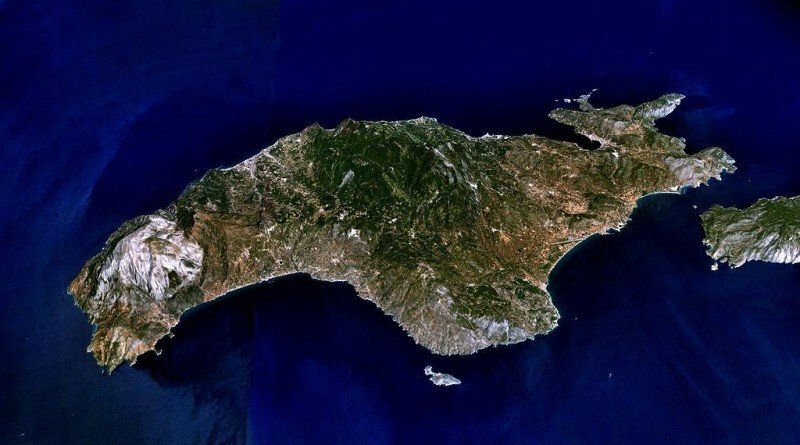 Samos has been inhabited since the 1300s and was one of the area’s largest and richest islands and a leader in ship trades. 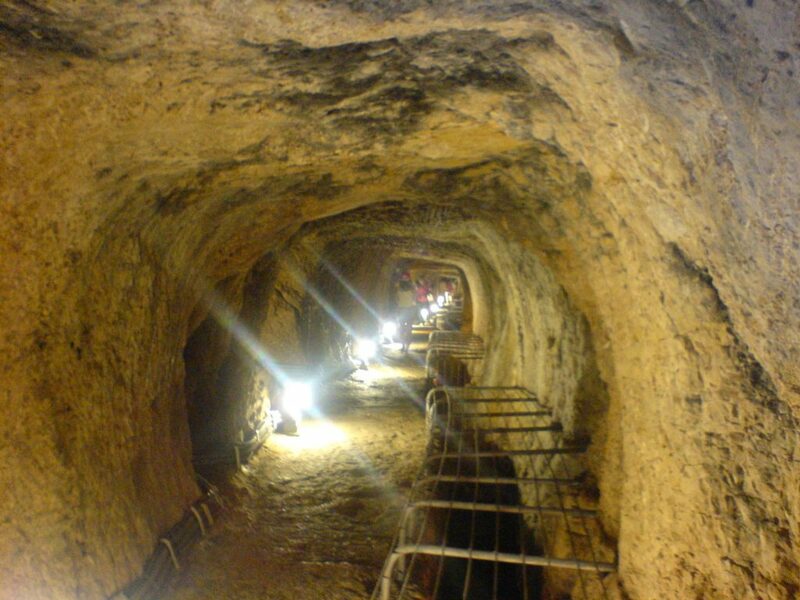 Approximately 530 B.C built on the island Eupalinos tunnel, a water line that was created by digging from either side of the mountain, into the middle. When they met in the middle, only the height of the tunnel differed, impressive considering when this was implemented. From Pythagorio you can make a hike up to the tunnel, it’s a lovely one, up the mountain and you will get amazing views on the way up. Bring a bit to drink, sunglasses, a sun hat and walk slowly up the top. Fragrances from of olive trees, oregano and dried grass follows as you walk along. In Pythagorion one can also see the remains of Marcus Antonius summer house he had with Cleopatra, the harbor is lined with restaurants bars and cafes, and from the pier, you can take the ferry among others to Patmos and Kusadasi, Turkey. The hotels are located all over Pythagorio, some are centrally located to the harbor promenade, others in the slopes around it, some are along the main street towards the main beach, near the airport. The houses are low built and there are no big hotel complexes. 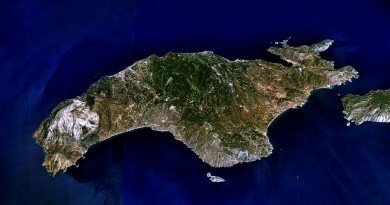 Samos is a relatively small island and it is quite easy to get around, best way by car or a vespa. If you go slowly and enjoying the tour you can easily find small bays where you can be completely alone. As on many Greek islands, the roads are curvy and during the really hot summer days the asphalt is burning hot and slippery The curvy downhill slopes requires that you take it easy going down. Samos is a pretty green island, here grows beautiful olive groves, cypress trees and other beautiful vegetation. There are many small villages to visit and it’s nice to sit down on a small square and have lunch or perhaps cool off with a frappé. 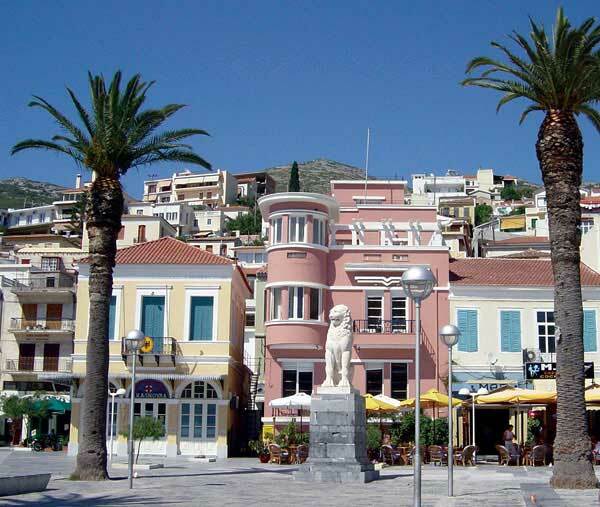 If you want todo some shopping during your vacation you should go to Samos Town. Thereare nice shops, promenades, bars and cafes. Good to keep in mind is that the shops are closed for siesta at noon, and most stores are closed. Goods to buy from Samos are: honey, olive oil, olive soap and a Pythagoras cup! The cup is cleverly designed and if you fill it up with too much liquid, or wine, then the content flows out through a hole in the cup. From Samos you can also go to nearby islands, another popular island is Patmos, where one can visit the cave where John wrote his revelations. Daily boat tours goes to Kusadasi in Turkey.